Quasi-Degenerate world toxicity decreased slightly. A couple of the starting planets have more resources. Opalescent planet class is richer with better minerals (it's a pretty rare planet and it's so pretty). Sapphire planets have more mineral spawn points. Added some new mineral spawn points for craters. Reduced difficulty of Scryve Juggernaut (non-boss) and Xraki boss battles. Your allies recognize the threat better and will share ships with you more cheaply. 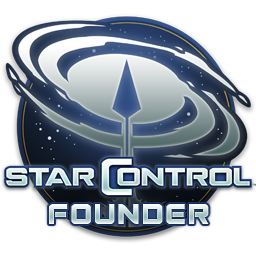 Great Void starbase and Drakend starbases now have a fuel module to buy. Star labels of visited systems are greyed out in the sector map list. Tweaked the "visited system" label colors. Slight camera improvement for the lander. Improved perf for worlds with lots of vegetation. I've been getting frame rate drops down into the low 20s on those worlds, so if I can find one of those worlds tomorrow I'll definitely let you know how it affects my system. Thanks! With the opt-in I can no longer tell which systems I've visited on the star map. Before the opt-in the faded stars were pretty obvious, but now I can't tell the difference. Are you talking about the text labels? No, I'm talking about how the stars in 1.01 were faded on the sector map after you'd visited them. Now they are not. I see that the labels are faded out now, but that requires me to mouse over the star to see the label. Also, performance on Organic worlds like 82 G Eriadni II is not improved by 1.02 opt-in. My FPS still drops into the high teens on those worlds. Silly question, but do you need to start a new game to see these changes or do the retroactively apply to in progress games? Not silly at all! Most of the changes are retroactive. That is, you don't need to start a new game for the most part. its asking for a beta access code or do we not need it? Ehh....nothing really needed to have the difficulty reduced IMO; it never took me more than 2-3 ships to pull down an Xraki boss ship. What was that decision based on? Yeah, ditto to the visited stars are no longer faded, just the text labels when you hover over them. Having the stars faded made it much easier to check on unvisited stars. Yeah I'm a bit surprised about that as well. Perhaps people don't know they can adjust the campaign difficulty on the fly? In saying that, IMO the boss fights aren't hard enough. If you know the correct ships you can still beat them on the higher difficulties with little pain. First things first: The game is great and even better than I hoped for (SC2 and UQM veteran). +1 Visited star systems no longer fade (only labels do). This should be changed back. The fading of 1.01 was great. The links in the captain's log should link to the map (and not autopilot). That way one can see where the journey goes before deciding to autopilot - one more click as the system is already selected. Otherwise you find yourself reading the captain's log entry, changing to map, entering the name of the system etc. There should be a search function for the captain's log. Like in UQM the fuel use for a selected destination should be shown as a number. Similarly, there should also be a line on the map to show you where you are going when using autopilot (like UQM). There should be a toggle for showing all planet labels - so you don't need to click every planet to see whether you visited it or not. It would be nice to be able to mark planets as (still) interesting - in case you scanned it but could not land etc. A list of the planets while visiting a system would also be nice (top right corner perhaps). The zoom function in a system should allow for seeing the whole system at once, so that you don't have to guess if you go in the right direction. The orbiting mechanics should be changed (maybe optional for retro fans) or enhanced. Click a planet and select "orbit". The right analog stick could control the cursor. Or use the list mentioned above to select the planet. "Fuel planets" should also be marked - similar the the home worlds (after visiting, of course). Systems with homeworlds and "fuel planets" should be marked automatically (after visiting, of course). An additional detailed log (including scans of planets and full conversations would be nice. A tab for player's notes would also be a nice addition. The lander should not flip. The lander mechanics should be improved. It is enjoyable on flatter planets but sometimes a pain on others, especially ones with steep canyons. Overall stats like fleet deflection, lander heat shield etc. should be listed in a corner in the outfit and fleet status screen. The information about modules should be more consistent. It should always be the more detailed one from when you select a module in the outfit screen. Example: The percentage of heat shielding is not shown in the fleet status screen. There should be a module with 100% protection from toxic gases (like the heat shield mark 3). Or is there? - I didn't find one. An option to turn off the time limit for battles (poison cloud) would be nice. A special device available mid or late game that scans a system and tells you which planets have "unidentifieds" on them. The sell screen must be enhanced: An option to define type and number of resources to keep would be best. Or selling resources via entering numbers. Or having a stash at Star Control (Earth). "Sell all" is often not an option for resources that are needed for missions etc. Also I would like be able to see the number of a module type in the inventory in the sell screen and to be able to sell them one by one. Related BUG: After some tests it seems that the number of modules of a type in the inventory does not change the price for selling all. So you get the same RUs for selling 4 modules as for selling 1. BUG: The RUs calculated for the minerals on the planet scan screen don't (always) seem to be correct. Advanced scanner modules should show the number of drones and animals on planet scan screen. New technology from traders and stations should be highlighted. One should not have to click and scroll through all of the module types. A list, maybe? Outfit screen: When selecting a module slot, the selection window should make better use of sceen space for a better overview. I'm going to +1 the fading of the stars on the main map from version 1.01 as well. This was a great feature! Also it would be great if there was a numerical indicator of exactly how many fuel units would be used up to travel to a selected destination. +1 from me. I forgot that one. I have added it to my list.